“Advance projects to drilling-stage, accelerate field work in Nariño and manage the treasury”….the mission statement for summer 2018. So, here in middle- August we have three highly-promising projects at drill-ready stage and in the process of drill-permitting, we are weeks away from a major community consultation in Nariño and we have a healthy exploration treasury in excess of CAD $4.5M. The historic exploration adit is now fully-open along its approximately 270 meter length and saw-cut channel sampling has advanced from the adit entrance to the point where Noranda reported historic channel sampling results of 52 meters at 6.2 grams/tonne gold (1974; not JORC compliant). Breccia-style mineralization associated with albite, actinolite, tourmaline and magnetite has been identified along this section. 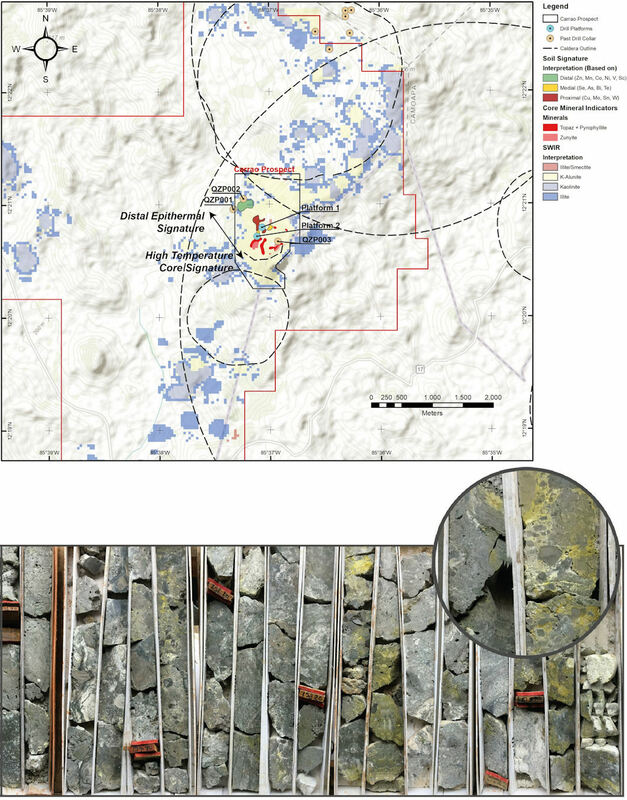 Our drilling (see press release, March 1) revealed that this style of alteration is associated with gold mineralization (best result; 8 meters at 9.3 grams per tonne gold). Permissions to drill this section below the adit level have been filed, but the final decision to drill will of course depend on the results of our new saw-cut channel sampling. After a robust target-definition exercise, we have finalized drilling locations at Los Andes and drill permitting is underway (see Press Release June 27). Once permitted, two approximately 1000m deep drill holes will test the central region of the Carrao area where highest temperature alteration is evident. At the exciting new Caribe prospect, exploration groundwork aimed at closing off the soil gold geochemical anomaly is continuing, preliminary drill holes have been located and drill-permitting is currently underway (see Press Release June 27). Luis Puerto, joins the Company as Manager Colombia. 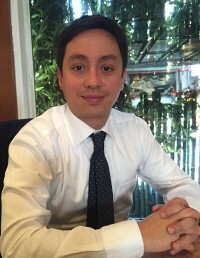 Luis has an undergraduate degree in International Business Management from Universidad de la Sabana, spending one year of his undergraduate studies at the John Molson School of Business of Concordia University in Montreal and a Master’s Degree in Applied Economy with emphasis in Finance from the Universidad CEU San Pablo / Sergio Arboleda. Luis has more than 10-years’ experience in the Colombian mining sector. Prior to joining the Company, Luis worked with the British Government supporting UK companies to navigate the Colombian market in the mining and transport sectors. Prior to this, Luis managed his own agency servicing medium-sized mineral trading companies mainly in the origination and marketing of coal, met coke, petroleum coke and related products and also physical commodity trading and brokerage transactions from Colombia and the Americas. Alejandro Pantoja joins the Company as Manager Responsible Development Colombia. Alejandro has an undergraduate degree in Chemistry and a post-graduate degree in Environmental Management and Corporate Sustainable Development from the Universidad Santiago de Cali. Alejandro is a specialist in the formalization of informal miners. Prior to joining the Company Alejandro worked with the Regional Autonomous Corporation of Valle del Cauca (CVC) in collaboration with the Ministry of Mines and Energy and the National Mining Agency where he managed mining formalization processes and Special Reserve Areas for traditional mining communities. Whilst at the CVC Alejandro also managed environmental education programs aimed at educating social stakeholders in the processes of Environmental Management and strengthening socio-environmental culture. 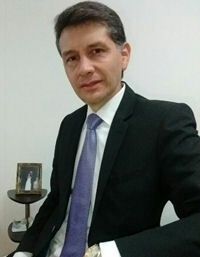 Alejandro served as a member of the University Superior Council of the Santiago de Cali University and has obtained several recognitions from the University and the CVC.